Last month we launched Airspace Explorer, our free flight tracking and airspace education app. 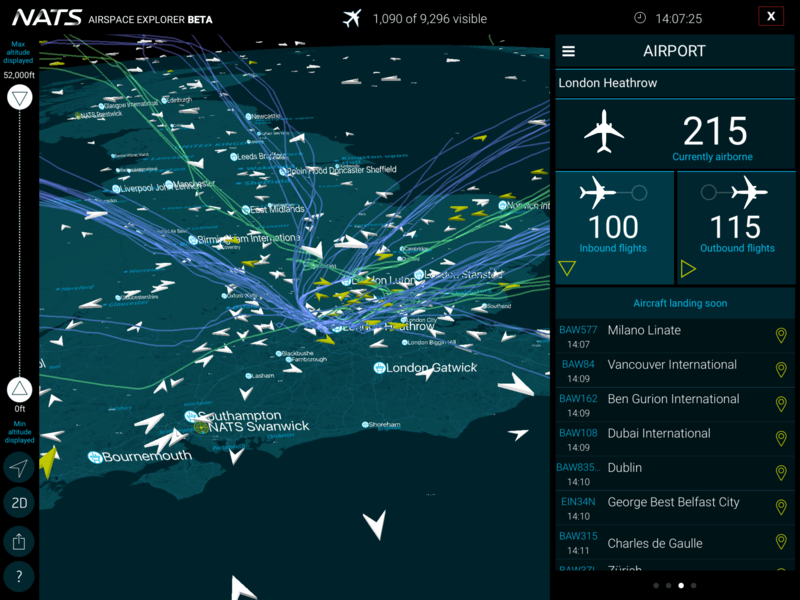 You can download it for free from the app store now and see how our airspace is being used to guide thousands of flights a day. Our hope is that it will help spread an awareness of the role of airspace as a piece of critical UK infrastructure and an appreciation of the controllers whose job it is to keep everyone flying through it safe. As such, I’ve been digging into how our airspace is made up, its structures and classifications, and how it remains the foundation of our aviation industry. Today I’m looking at airspace classifications, the differences between them and what they mean for the people who fly through them. 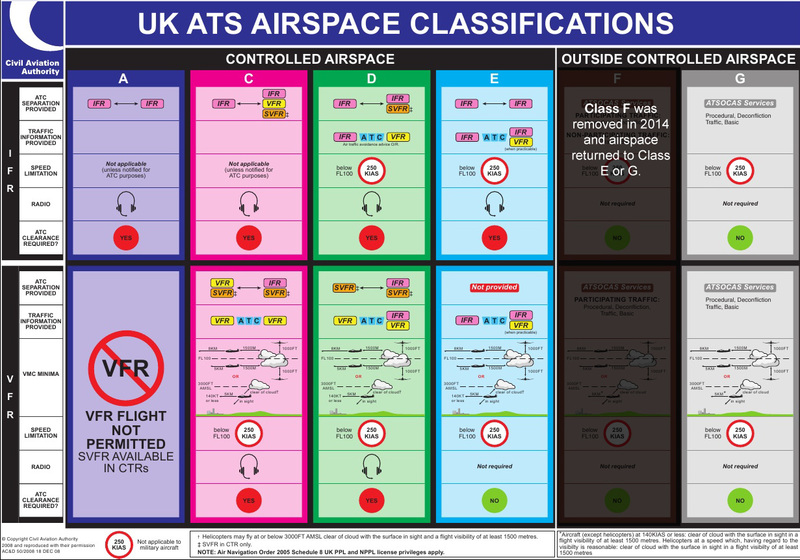 In the UK there are currently five classes of airspace; A,C,D,E and G (we have no Class B airspace in the UK and the last F class airspace was remove of converted in E in 2014). The classification of the airspace within a FIR determines the flight rules that apply and the minimum air traffic services which are to be provided. Classes A, C, D and E are areas of controlled airspace and G is uncontrolled airspace. Controlled airspace is provided primarily to protect its users, mostly commercial airliners, and as such aircraft that fly in controlled airspace must be equipped to a certain standard and their pilots must hold certain flying qualifications. Pilots must obtain clearance from Air Traffic Control to enter such airspace and, except in an emergency situation, they must follow ATC instructions implicitly. In class A airspace, only Instrument Flight Rules (IFR) flying is permitted. It is the most strictly regulated airspace where pilots must comply with ATC instructions at all times. 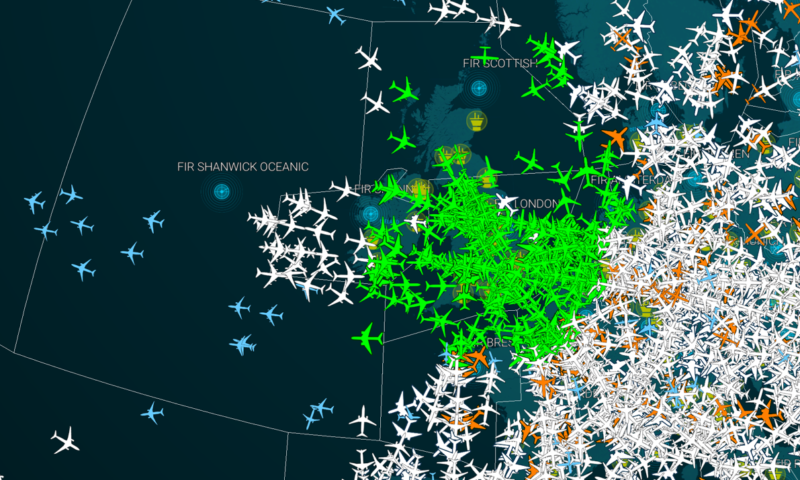 Aircraft are separated from all other traffic and the users of this airspace are mainly major airlines and business jets. Class C airspace in the UK extends from Flight Level (FL) 195 (19,500 feet) to FL 660 (66,000 feet). Both IFR and Visual Flight Rules (VFR) flying is permitted in this airspace but pilots require clearance to enter and must comply with ATC instructions. Class D airspace is for IFR and VFR flying. An ATC clearance is needed and compliance with ATC instructions is mandatory. Control areas around aerodromes are typically class D and a speed limit of 250 knots applies if the aircraft is below FL 100 (10,000 feet). requirements) that an aerodrome may not have. So whilst all airports are aerodromes, not all aerodromes are airports. Class E airspace is for IFR and VFR use. IFR aircraft require ATC clearance and compliance with ATC instructions is mandatory for separation purposes. VFR traffic does not require clearance to enter class E airspace but must comply with ATC instructions. In class G airspace, aircraft may fly when and where they like, subject to a set of simple rules. Although there is no legal requirement to do so, many pilots notify Air Traffic Control of their presence and intentions and pilots take full responsibility for their own safety, although they can ask for help. Can and often do offer pilots in Class G airspace with a basic flight information service to support their safe flying. An Alerting Service is also provided if necessary to notify appropriate organisations regarding aircraft in need of assistance, Search and Rescue for example. So that covers airspace classification. I hope it makes sense but feel free to comment if you want to ask a question. 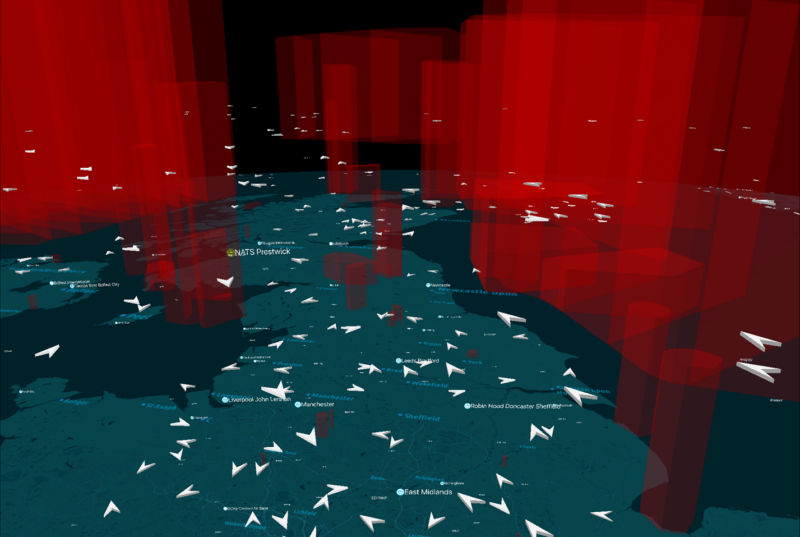 Next week I’ll take a look at airspace types. I can sense your excitement! Don’t forget, you can download Airspace Explorer for iPad right now – and it’s free! Hi Bren, this article requires better proof reading, I’m afraid. Lots of typos evident, some of which could confuse the casual reader. How high is FL 660, by the way? Cheers, Keefy. We have class E airspace in some parts of Scotland. When the UK decided that it would comply with ICAO and only deploy Class F airspace for short term issues, we needed to find an equitable solution for our airspace. After consultation with airspace users and regulators, some airspace returned to Class G and some was made Class E where that was appropriate for the airspace usage. Hi. I’m trying to find out about an aircraft which flew over me last night but I don’t know how to find out what it was. Is there an archive which stores information on past flights over the U.K. somewhere on the internet? Obviously live tracking sites are out as the info I want is on a past flight. Class E airspace is for IFR and VFR use. IFR aircraft require ATC clearance and compliance with ATC instructions is mandatory for separation purposes. VFR traffic **does not require** clearance to enter class E airspace but must comply with ATC instructions. Some consistency would be supper. James, you seem to be confused between IFR and VFR flight. IFR traffic requires clearance to enter Class E airspace, while VFR traffic does not. Hope this helps. Brendan Kelly manages operational policy for NATS and is responsible for the creation of a future vision for systemisation of our airspace. He works to influence external change to ensure that the ATM dimension is understood and expertly represented when we, with our partners, move the industry forward. Brendan has been an air traffic controller at Heathrow and Manchester earlier in his career and managed our operations at airports and control centres before his current post.